W.D. Bach is a licensed, certified marine contractor that can handle all of your marine construction needs. The proper design and construction of your dock can make the difference between one that lasts a few years and one that lasts decades. We use the best materials, proven designs, and time-tested construction methods to build docks that look great and last. From large commercial or public docks to small docks on the river or lake, we use only the best and proven materials, design, and construction methods for your needs. Additionally, we can work from land or water so you can build far out into the water or even where land access is difficult or minimal. W.D. 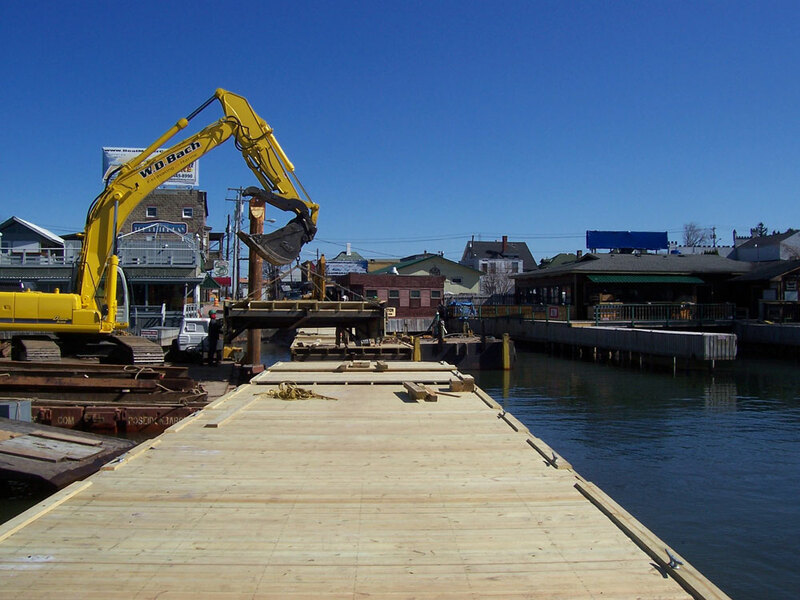 Bach will handle every aspect of your new dock construction. 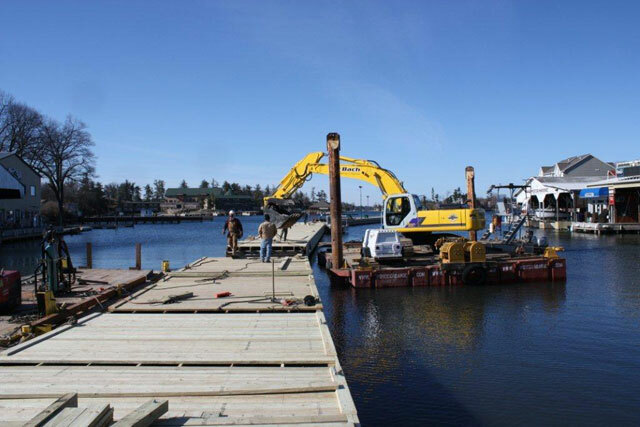 While other builders sub-contract work such as pile setting (the foundation of your new dock), we have all the equipment and capabilities to build your complete dock from start to finish. 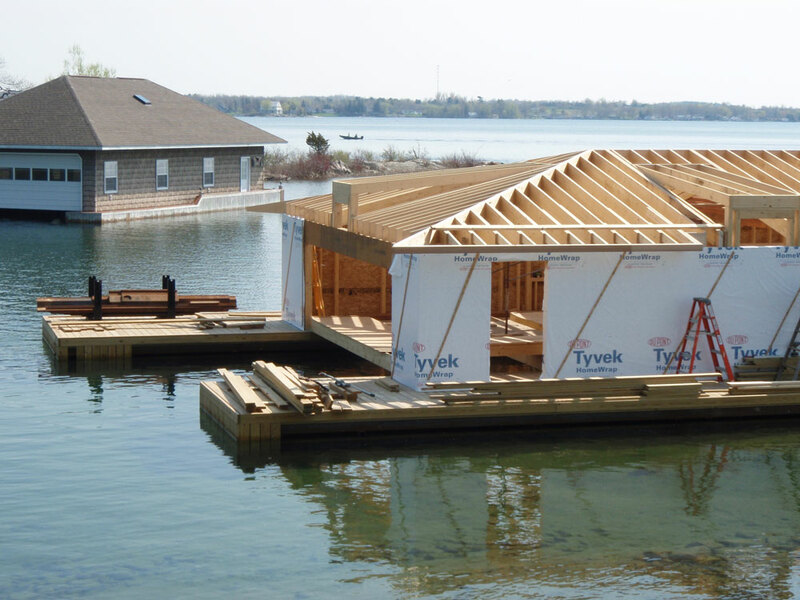 Your new dock can also be seamlessly connected to existing structures such as boathouses, piers or bulkheads. 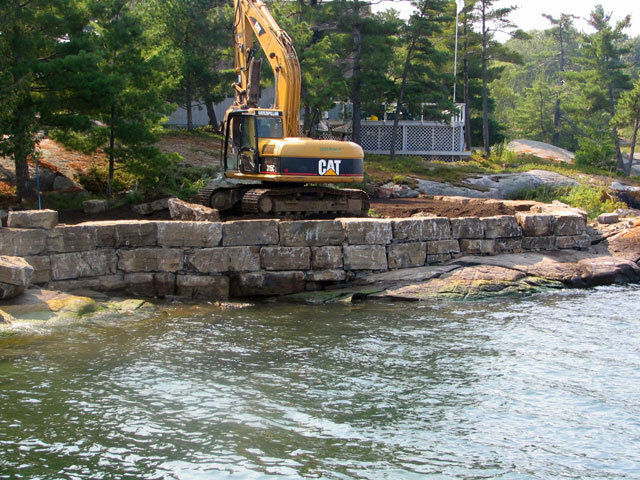 We can even demolish and remove your old dock as part of your project.